New research led by Portland State University glacier scientist Andrew Fountain reveals how a single warming event in Antarctica may be an indication of future ecosystem changes. In the scientific paper, "The Impact of a Large-scale Climate Event on Antarctic Ecosystem Processes," published in a special section Thursday in Bioscience, Fountain and his team detail the climate event and summarize the cascading ecological consequences over the last 15 years caused by a single season of intense melting in Antarctica between 2001 and 2002. "What we saw in the Antarctic summer of 2001 and 2002 could be the Antarctic future in the decades to come," said Fountain, the study's lead author. "What was an otherwise unchanging environment could be on the cusp of very dramatic changes." 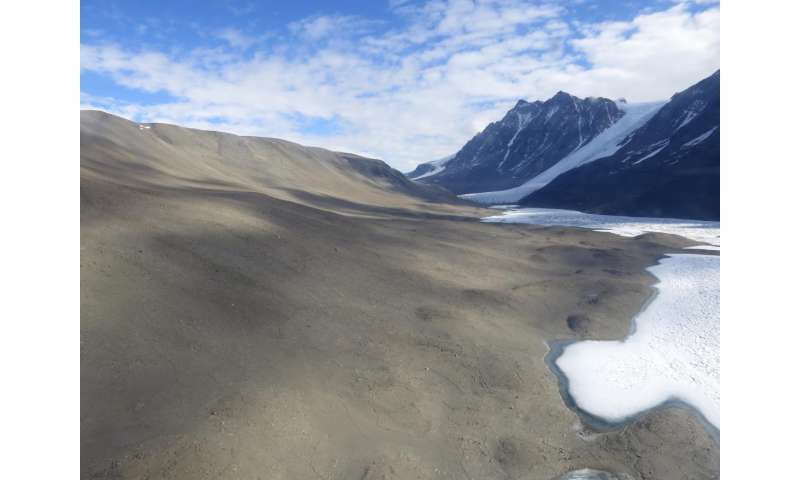 Stationed in East Antarctica's McMurdo Dry Valleys—a polar desert that's among the driest places on Earth—Fountain and his research team studied the effects of massive flooding caused by the glaciers that melted when air temperatures suddenly warmed to 39 degrees Fahrenheit. Flooding streams eroded, lake ice thinned, lake levels rose, and water reached new places across the barren landscape. The ecosystem still responded to this event after five or more years. Scientists suspect these events will appear more frequently in the future as climate warming affects Antarctica. Fountain's research was conducted in tandem with another National Science Foundation-funded site, Palmer Station, on the West Antarctic Peninsula, a vastly different Antarctic landscape. The extreme climate shift at Palmer during 2001 and 2002 caused freezing and melting at the edge of the peninsula, resulting in increased algal bloom and Antarctic krill, a devastating decline in the population of Adelie penguins, and an increase in the populations of gentoo and chinstrap penguins.